The label was created in 2011 by couple Tess Corvaia and Robert Tilbury from Queensland, Australia. Inspired by their vintage collection of hats, Tess and Robert decided to become milliners. Since then, each season they’ve been producing wearable accessories in different colors and trendy styles for both, women and men. Their background in fashion helped them to reach the right audience immediately. 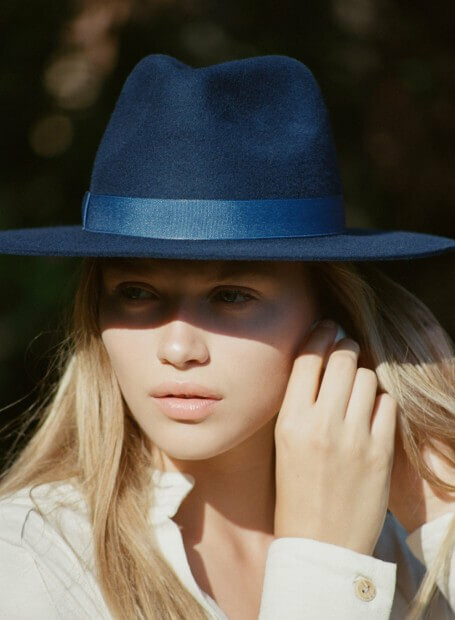 Influencers for millions of girls from all over the world, such as Rosie Huntington-Whiteley, Vanessa Hudgens, Gigi Hadid as well as Chiara Ferragni are wearing Lack of Color hats. Where to buy their beautiful collections? You can get them online on their official website, or one one of their retailers like NastyGal, Revolve, Nordstrom. Find their latest lookbook collection ‘CANYONS - SUMMER ’17’ below and shop their lovely hats here!